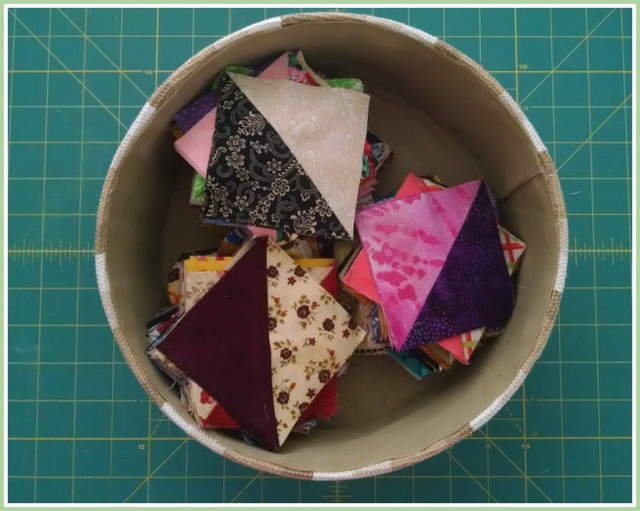 Last year, I feel like I had a love affair with half square triangles (HSTs). 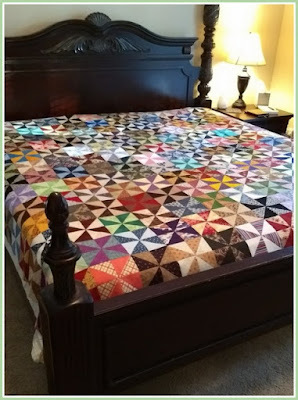 I must have sewed thousands of them together. And I literally mean thousands! 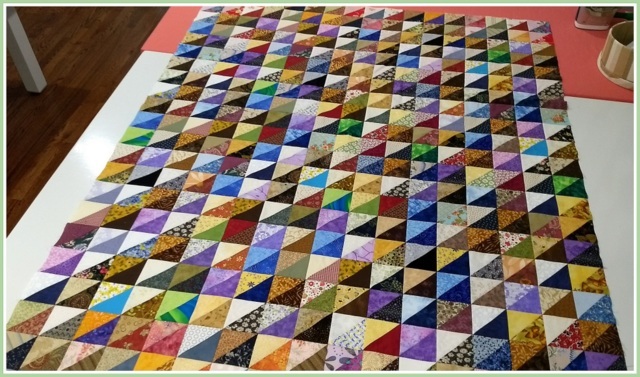 Fortunately, my quilt bee had done an HST swap several years ago, so I wasn't starting from scratch. 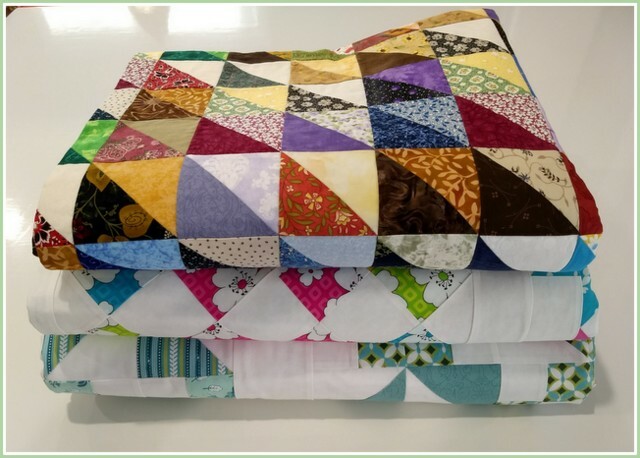 I was able to get most of my pinwheel blocks for a king-size Scrappy Pinwheel quilt from that swap. I used my stash for the rest of it. Initially I planned to add borders to the outside. I even bought fabric to do so, but in the end, I decided I loved it without them so I just made more pinwheel blocks to make it big enough to fit our bed. It's now 96" x 108". I have the batting, but still need to get the backing for this one. 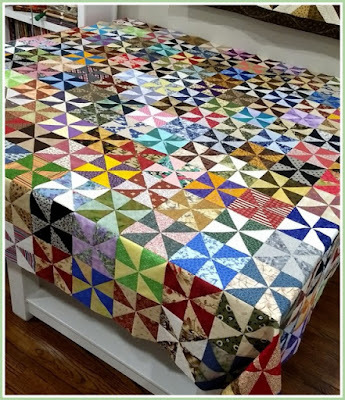 I also made a coordinating lap-sized quilt to go over the back of the chair in the bedroom. 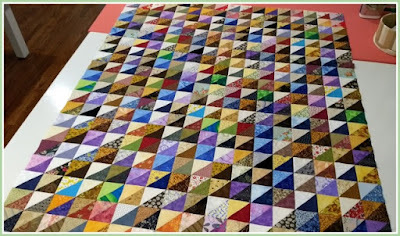 It's only 51" x 63" but it was almost as much work piecing all those little rows together. It was worth it though! And I took advantage of the brief warm spell last week to baste this little one and a couple of others for quilting. FYI - as I type this, it's snowing outside! David is up to his old tricks again. 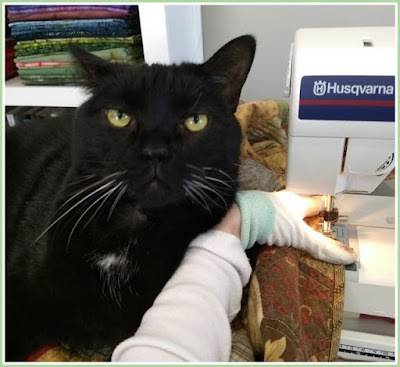 He was particularly helpful as I tried to get this binding sewn down the other day. It only took me twice as long with his assistance! I love your pinwheel quilt! !